Our exclusive range of made-to-order upholstery, includes the classically proportioned Mr Smith armchair. Upholstered in a choice of 36 hardwearing but soft and tactile velvet, these comfortable, traditionally constructed and beautifully crafted armchairs have solid beech frames with feather wrapped seat cushions for soft, but firm comfort, webbed bases and foam filling. 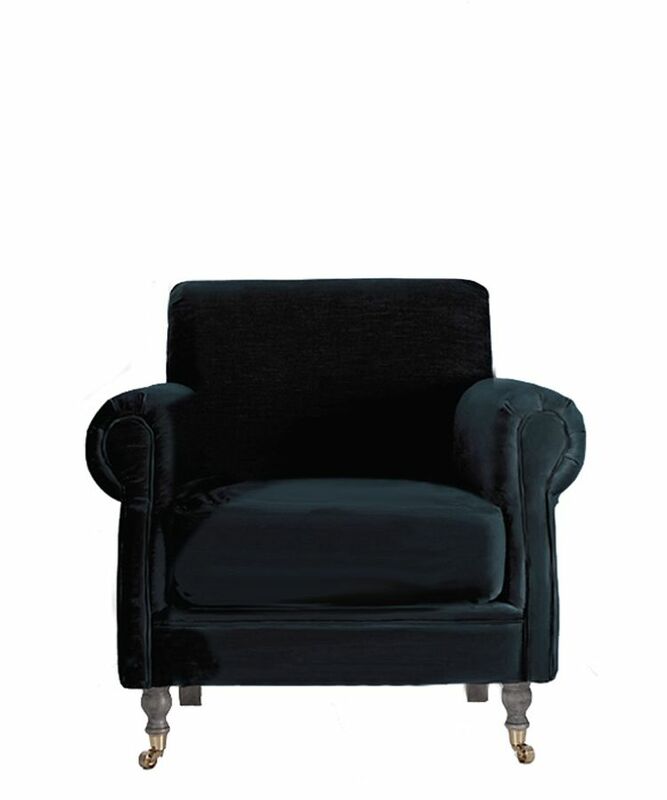 Our Mr Smith armchair is made-to-order in a choice of 36 hard-wearing velvet fabrics, with a choice of matt or antiqued velvet. To help you select your fabric type and colour please select your choice of fabric swatches (up to 5 free, thereafter £3.95 pp) which you can choose from the separate fabric swatch page. If you don't see a colour you like, please do contact us, as there may be other colours available in these ranges. We can also upholster in your own fabric (6m required), please contact us for details. Please select your choice of fabric, castor and leg finish from the drop-down menus below. Example shown in Deepest Blue 14 velvet, gray oak legs with brass castors. PAYPAL PAYMENT: Items purchased with PayPal are charged in full; however, a 4 month interest-free PayPal credit option is available, subject to T&Cs..
You save £-595.00 that's 0.00% off!